Discussion in 'Shroud of the Avatar Discussion Hall' started by SotA Stratics, Jun 27, 2018. 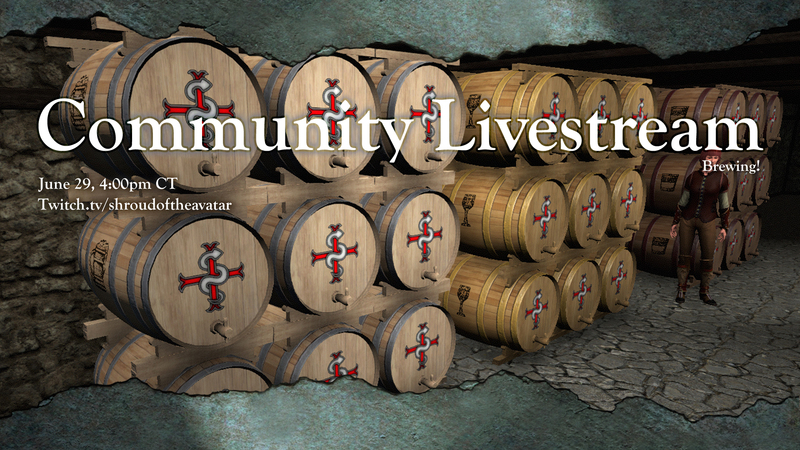 Another content packed Community Livestream is coming this Friday! We will be kicking off the livestream with news from Starr “Darkstarr” Long and special guest Chris “Atos” Spears. Then Brandon “Bzus” Cotton, Joaquin “Wizardsmoke” Del Canto, and Sarah “Serafina” Dworken will be on to show off the new Brewing system that is going live in Release 55!